An international medical humanitarian organization working in more than 60 countries to assist people whose survival is threatened by violence, neglect, or catastrophe. specifically the Japan Earthquake and Pacific Tsunami Relief Fund. Red Cross is the nation’s premier emergency response organization. A global, humanitarian, nonprofit organization dedicated to saving lives and relieving suffering through health care training and relief and development programs. IMC is a private, voluntary, nonpolitical, nonsectarian organization. A nonprofit dedicated to fostering ties between the US and Japan. After the disastrous Hanshin earthquake in Japan in 1995, JSNC joined with other Bay Area Japan-community organizations to raise over $1 million in support for the devastated city of Kobe. One of the only international animal protection organizations in the world working to protect all animals. HSI is committed to supporting Japanese citizens and organizations working to help animals affected by the disaster. 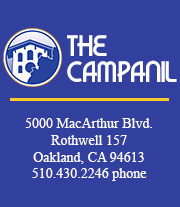 You can read more related posts on The Campanil’s special page about the disaster in Japan.